Malabar Farm in Pleasant Valley was the dream of the Pulitzer Prize-winning author, Louis Bromfield. Today, visitors can see the house and farm existing just as they did in Bromfield's time. 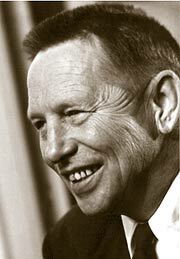 The innovative work of Louis Bromfield continues influencing agricultural methods around the world. The outbuildings and pastures still house chickens, goats and beef cattle. The hills are ribboned with strips of corn, wheat, oats and hay while the scenic trails are adorned with nature's bounty. 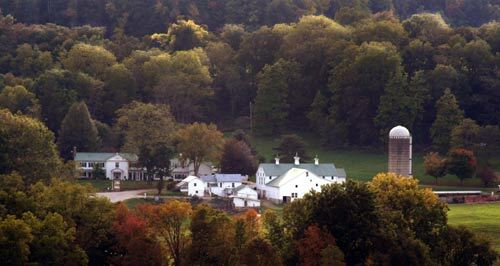 The wide variety of activities at Malabar Farm State Park include fishing, hay wagon rides, horseback riding, hiking, square dance parties, touring the farm and the "Big House", and cross-country skiing. Malabar Farm State Park also offers primitive campsites and a 19-bed dormitory-style hostel onsite. Reservations for both may be made via the Malabar Farm. The new Louis Bromfield Visitor Education Center recently opened its doors for visitors to the farm. Exhibits feature more than 30 interactive exhibits that lets visitors learn and experience agriculture, understand environmental issues, and about Louis Bromfield and his efforts at conservation. Louis Bromfield was born in Mansfield in 1896, the son of Charles and Mary Bromfield. His father was a farmer, as was his grandfather and great-grandfather. His mother encouraged Louis to be a writer, which he became, but it kept in touch with his farming roots. Inspired by his love of the land, Bromfield restored the rich fertility of the farmlands and preserved the beauty of the woodlands. He built a 32-room country home, where his family, friends and neighbors could share the pleasure of life on the farm. One of Mansfield, Ohio's most famous natives, he lived at Malabar Farm near Lucas, Ohio, from 1939 until his death in 1956. Bromfield was also friends with some of the most celebrated personalities of his era and provided the location for Humphrey Bogart and Lauren Bacall's wedding. The farm, which he named "Malabar Farm" was to become his major work during his last 20 years. Bromfield was an early proponent of organic and self-sustaining gardening, and his farm was one of the first to ban pesticides.